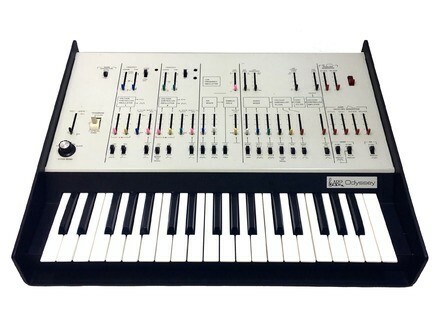 Odyssey, Analog Synth from ARP. reazone's review (This content has been automatically translated from French)" Awesome!" 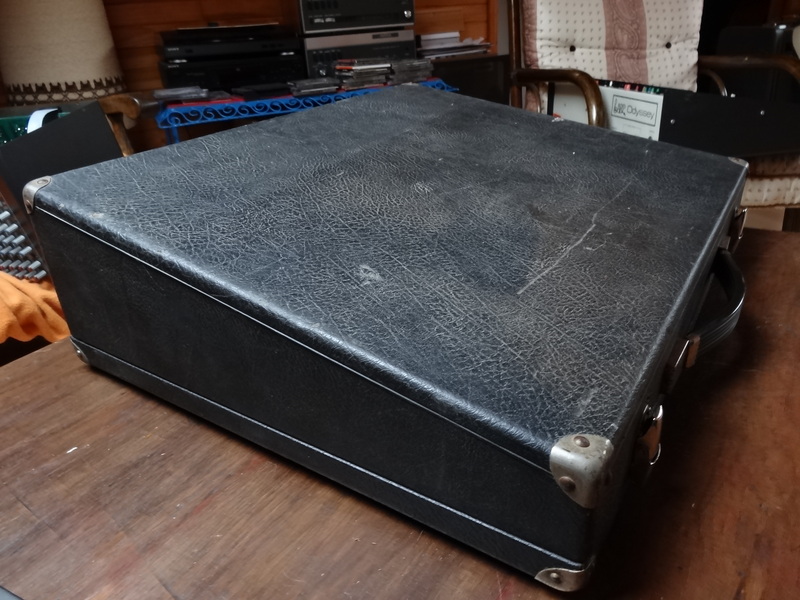 All was already said, I just add that the top side is duophonic for pianists who play with real fingers on their synthesis. Rather simple once you pick up a routing possible, there are many. I do not intend to part with, it's a legend, not for nothing. This synth is great. I plan to do some mods on the velocities of the envelopes, lfo free, maybe even add all the patch points so that the synthesizer is even more versatile. For those who are worried when the reliabilities of the faders all ... I opened mine, I clean the shower, while inside is very robust, it's tough! So yes after 40 years of use the faders are not super clean and soft, but with a little patience, a soldering iron a little cotton and alcohol, it is perfectly clean. 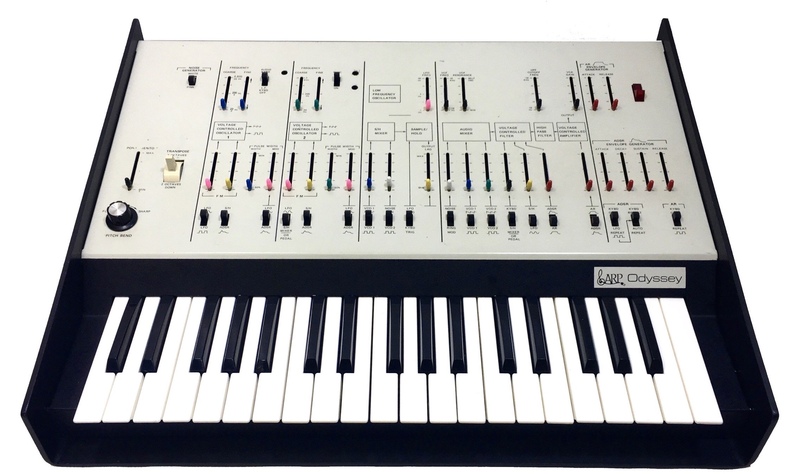 The Odyssey is a monophonic synthtiseur / duophonic compact Designed for the era scne. Its technology is in part after the ARP 2600, there are two VCO (Saw / Pulse), a Noise, a Ring mod, an LFO, two sources of modulations, two envelopes, a low pass filter and High Pass r siouplait sounding (to peter the speakers if you do not blunder!). This does not MODEL CV / Gate of origin but it is quite common to see changes (like mine). Pretty simple to understand, simple program, easy transport, the Odyssey is a synth idalie whose design is for those who like to program the synthse subtractive. The readability is absolutely perfect. 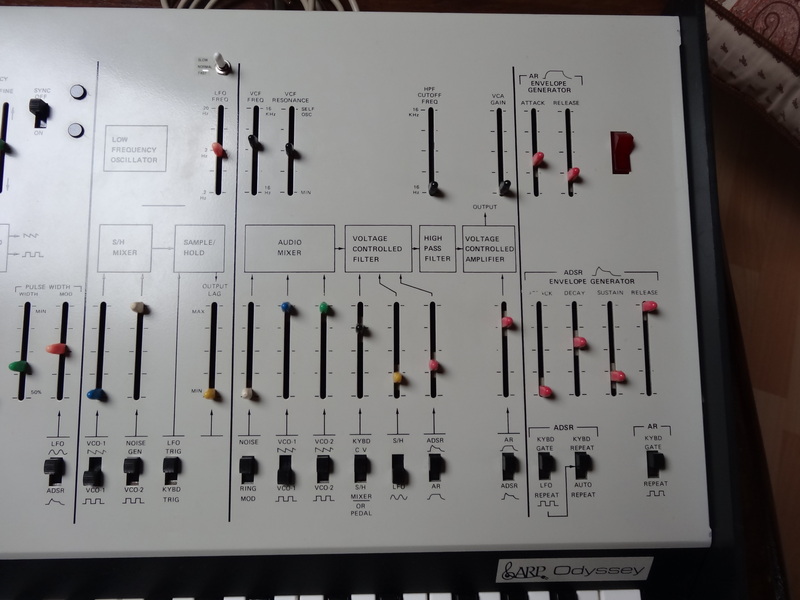 ARP had thought the era that the best way to get the message between the programming and synth musician, c'tait use potientiomtres rotating but not slippery. This is because we win gnial normment in clarity, however, probably did not ARP prvu that it does not rev vieillierait well and the spices become a gem for replacement . The keyboard is well designed particulirement, his touch is quite good and can act on dclenchement envelopes with a particular use. (I did not deepen the subject). The pitch bend Rotary, however, is not practical at all, it serves me especially given the synth. 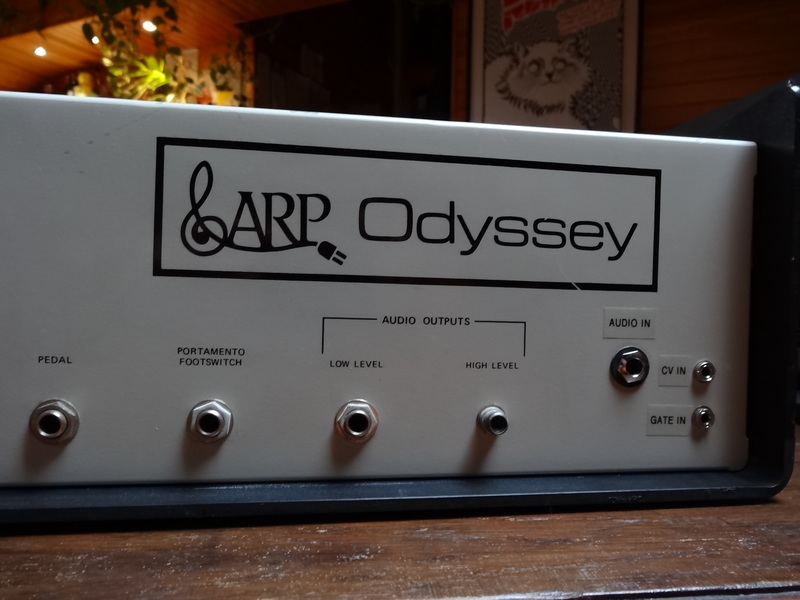 The one is in the heart of the matter, because we do not provide an Odyssey for nothing except for the sound of the 70 ARP. It's really fun. You can not really compare the sound to the Minimoog, it is not as aggressive and big (even when there is a VCO less). 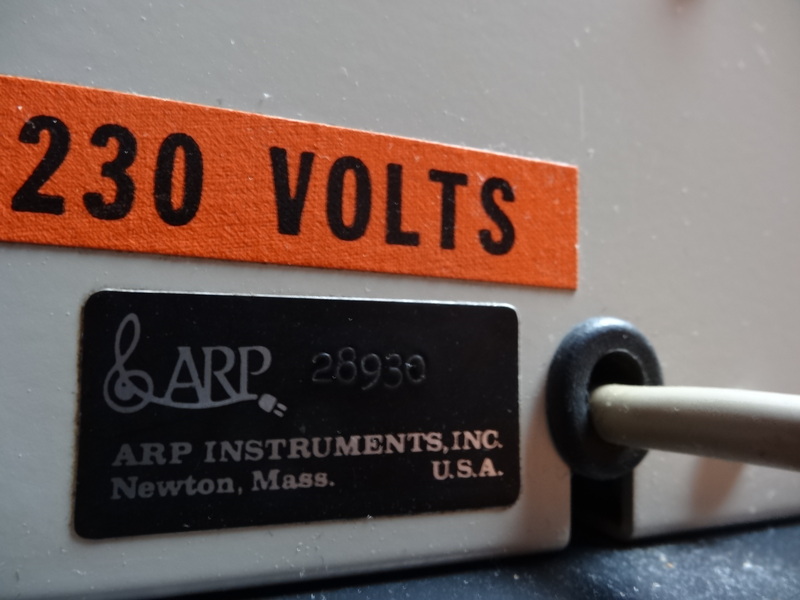 However there is no shortage of charm and is warm in the low rev thanks a filter 12dB typ SEM (not this is not the 24dB filter 4012 of the ARP 2600!). For sounds very serious and powerful you have to use the rsonnance but the careful because it can get really low! The noise standard is (mostly pink), I did not think that such dynamics could leave a small piece of cabbage as a, surprise. For those interested in the comparison with the MODEL Vsti, I'd say the Odyssey Mk1 Submitted first noticeable diffrence with a filter that is not the same (warmer more severe on the right), and also the rglages are not really compatible. In fact there a more Choisya Odyssey to do some live and Oddity for squence background, but overall Gmedia has performed an excellent formulation of the ARP synth sound is l.
Still, I prfre ten times the touch of the true touch of the mouse. A great synth trs apprciable program. I love the approach that is incomparable with what we did today. This is a REAL musician and not a tool for computer / musician. Only one regret: the easy dsaccordage temperatures requiring correct the pitch with pitch bend wheel and annual recalibration. However, Kenton manufactures a kit that mounts very easily. The major advantage of this version is prmiere the quality of the keyboard. Nothing to do with the next gnration. And pitch bend Rotary, I found a pretty good, if not a little fragile. HUGE, the leads are excellent, but it must be in the low search. Thousand times more powerful than a sh 101. 6 months of use the house, and once live. The price is low right now, should enjoy.